Microsoft Bookings is a NEW feature of the Office 365 Business Premium* package and it makes it easy for small businesses to schedule and manage appointments with their customers. 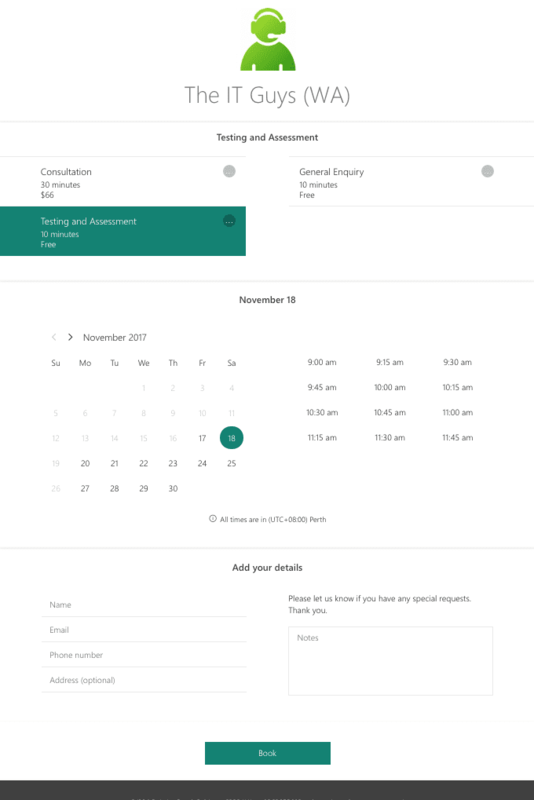 Bookings gives you a quick and easy alternative to scheduling appointments over the phone. A customizable public webpage lets your customers find available times and book appointments 24/7. 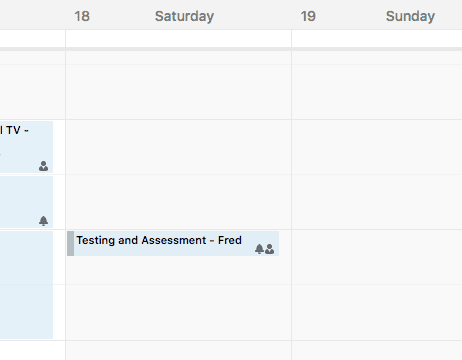 You get a private calendar for managing your schedule, and automatic confirmations and reminders that save time. *Bookings is included in Office 365 Business Premium, Office 365 Education A3 and A5, Enterprise E3 and E5 subscriptions. 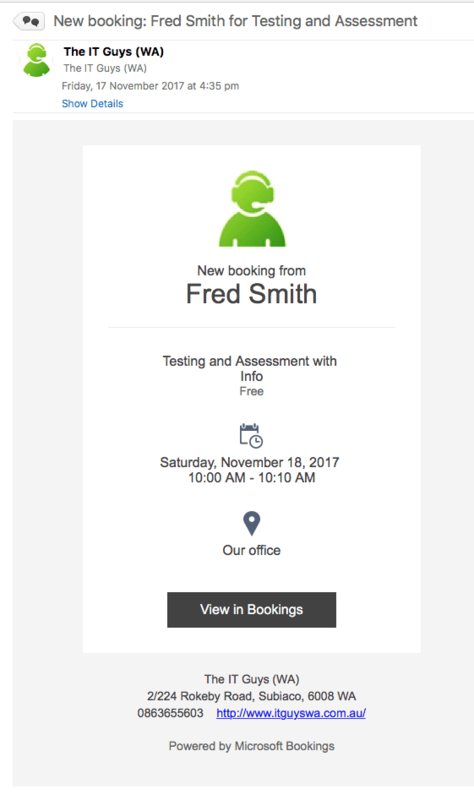 The IT Guys use it for booking appointments at our office, here is a screen shot, click here or on the image below to go to the live site. We believe it is an excellent resource for Trades People, Professionals and Personal Service people. Microsoft Bookings is available as part of the Office 365 Business Premium package which can be purchased for A$17.50 per month per person. Please contact us if you would like to make a purchase or upgrade your existing Office version. 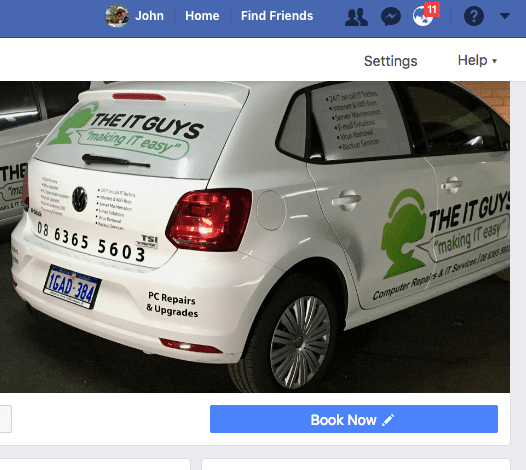 Buy Office 365 Business Premium or higher packages now by contacting the IT Guys on 08 6365 5603, Bookings is easy to setup and configure yourself, or you can let the IT Guys do it for you for only $156 inc GST.